What had I been anticipating? I peered at the short, average-looking woman as she read a passage from one of her books to a classroom full of 7th graders. Her thick tree-branch walking cane was about the only resemblance to a fantasy goddess I could identify. She wore a pastel linen coat and some cotton pants and a shirt I’m sure, but they blended into blandness compared to her fuzzy, stripped socks poking out from her Tevas. My wandering attention came back to the reading when a coughing fit caused her to gulp down some water. Ms. Pierce was nothing at all what I had been expecting- in fact, she flat-out sucked! I gave Heidi, my friend as well as one of the school’s librarians, a worried/sympathetic sideways glance. Had they really forked out all that cash for this monotoned, uncharismatic author visit??? At that same moment the guest speaker put down the book, mid-sentence and stared blankly at the group. I thought for a horrible second that she was having some kind of Alzheimer episode where she had forgotten where she was and what she was supposed to be doing. And then she began to speak, “I’ve been doing this shtick for about 8 or 9 years. After I’ve been droning on and on for awhile, I like to stare out at all the frozen faces who are all thinking the same thought- this is the author from hell!” It’s in this moment, as I’m shaking my head agreeing when I realize we’ve all been had! The woman transformed right in front of us. Her dull, glazed-over eyes took on life and vigor as she watched us all gaping in shock and confusion. The questions came tumbling out as intriguing tales of steel winged beasts, plot twists, and spouse creatures spewed forth from her lively mouth. 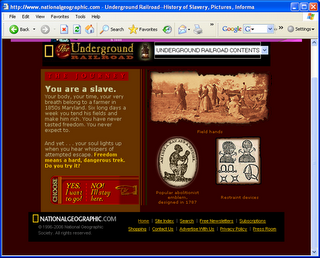 We were informed that it’s rooted in numerous cultures throughout time. The spiral symbolizes the beginning of a journey to its end or from darkness to light. Whatever the meaning- it was cool and definitely upped her warrior goddess status. The hour passed at the speed of light। Way too fast and totally brilliant. 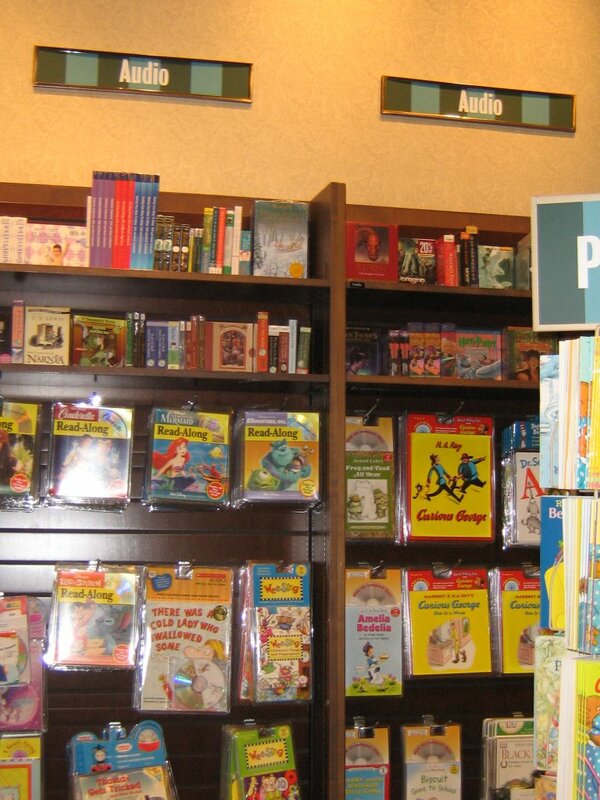 Imagine the world void of non-book librarians. Who would be in charge? Who would rule the waste land? Would the world fall into utter destruction? Mass chaos to ensue? Left on their own, would students fall into corruption and scandal without the guidance and instruction of how to correctly retrieve information? This semester, I had the great pleasure of taking a course tackling the very illusive subject of libraries and non-book material. One of the biggest issues I faced was that the general masses believe that the definition of a library is a building that houses books. While I was working on the assignments for the class- when I asked to see the non-book collections at differnt libraries, the people at each location looked at me blankly and then as an after thought pointed me in the direction of their audio and visual materials. My friends and family who inquired about my classes were equally confused by the topic of the course. Basically, what it boils down to- is that most people believe that libraries hold books. Thus, as the world turns more and more towards non-book media such as electronic resources, people (tax payers) wonder why keep shelling out money if books are becoming obsolete and extinct And one step further- are librarians really all that useful in the modern technology age? 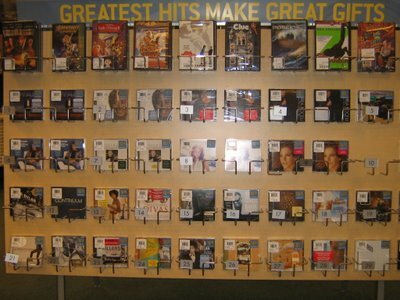 Some libraries have spent a great deal of energy aligning them selves with the new technology. The University of Texas at Austin removed their book collection and created more comfortable seating and internet access for the students. One of the main ideas behind this revamping was that students weren’t using the stacks- many books went untouched year after year. However, that is an extreme solution. If the entire library emptied and replaced its book collection with “comfortable” couches- what is the difference between that place and the student’s own living room? With the advent of the online reference librarian, which we have even have at UB and I myself have used on more than one occasion- what is so fabulous about this new space at UT? Libraries all over the country are trying to come up with ways to integrate emerging technology with their traditional library materials. Jo Haight-Sarling of the Denver Public Library explained during an NPR interview http://www.npr.org/templates/story/story.php?storyId=5235518 – that they use technology advances to entice people to come to their library where they emphasis cultural programming. 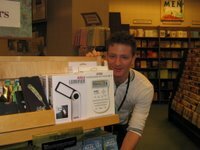 Some of the things they offer in the way of non-book services are cooking demonstrations, author talks, and film screenings. They have film critics discuss the films after the show or have them discuss the films on pod casts as way to pique public interest in their offerings. This idea was reminiscent of our course discussion of how would we use a pod cast in our library- many of us suggested similar ideas. The most important concept that should not be lost in all the excitement is that trained professionals should lead the information quests. Without people experienced in ac quisition and management of non-book material what will the information centers be filled with? 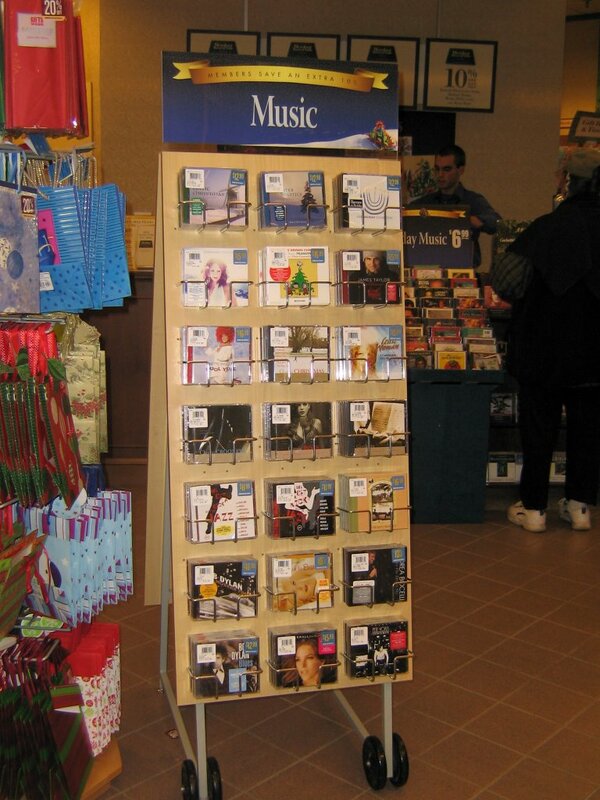 Pictured to the right is Nick, a Barnes and Noble bookseller who is in charge of the store's audio and visual selection. 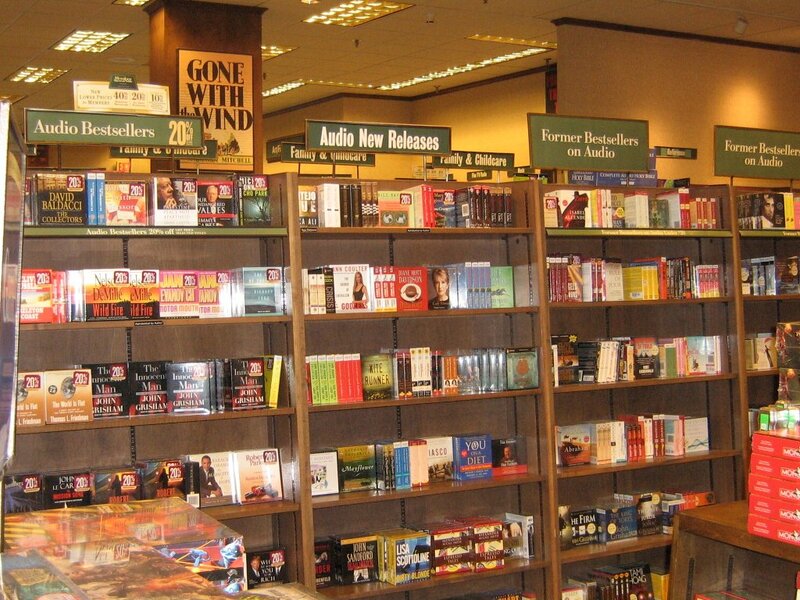 If non-book material wasn’t housed at libraries, then presumably the commercial distributors would be the sole providers to the masses. 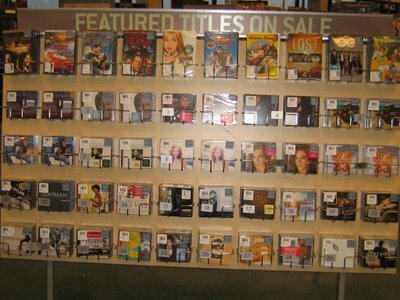 Places such as Barnes and Nobles, Boarders, and Blockbuster Video are motivated by sales and corporate pushes- controversial, rare, and unpopular material would come up short- and people would have limited access to them. 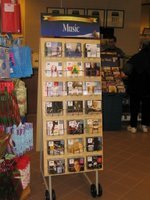 *As an aside- I did finally get to the bottom of the B & N top 30 music selection- turns out it is the store's top 30 selling CDs. 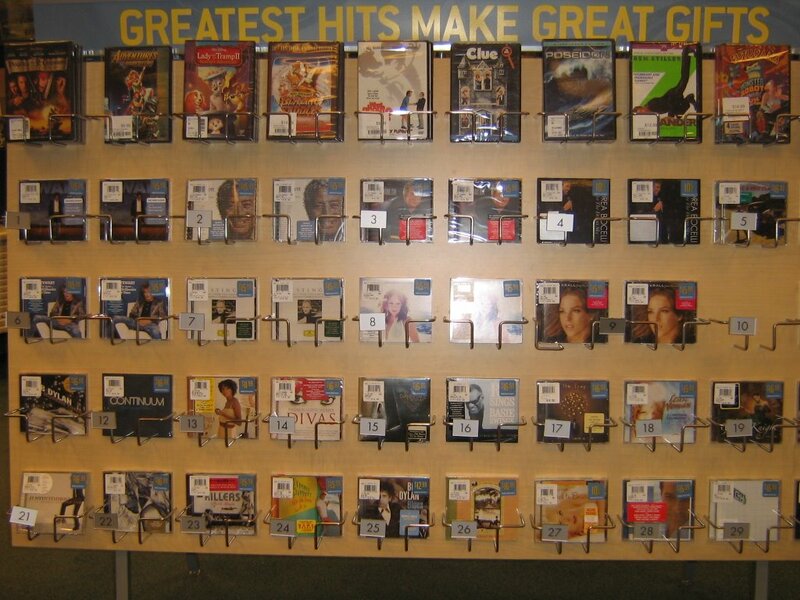 I still am fascinated that Clay Aiken is among them, and which further demonstrates how ludicrous it would be to allow the American popular market to dictate what will be accessible and available for the entire population. She discusses the ineptness and lack of sophisticated information acquisition skills that high school students pride themselves with, however in fact end up extremely frustrated with their incompetent Google and Yahoo! search engines which are not academic in nature and definitely not enough to go on to higher education. Without being taught how to access advanced databases and proper research and searching techniques these students are struck down in college by a new phenomena known as information overload. 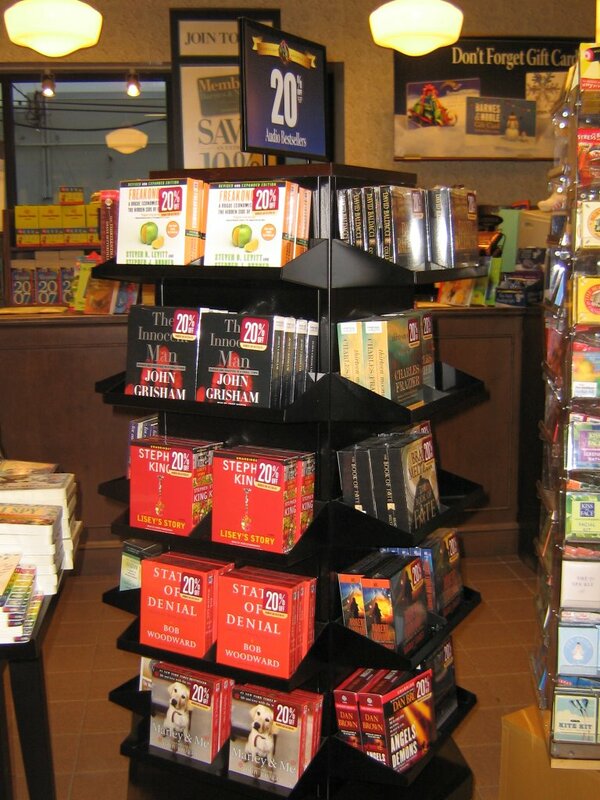 “One Step Beyond: From High School to College.” Knowledge Quest 30.4 (Mar. 2002). Library Literature and Information Science Full Text. H.W. Wilson. 30 Nov. 2006 . The above citation is an enlightening compilation of research and articles on the high school media center and its impact on college success. In one study of collage students from the “One Step Beyond” article, questionnaire results revealed that 80% said they had learned how to use a library as part of their K-12 education. Only a quarter of the students could recall three Boolean words for searching with multiple terms. Less than one percent could name a meta-search engine and only 29% could list more than two criteria for evaluating a web site. This study revealed that the confidence level of the students was high while their actual information seeking skills were low. 64% of the students felt confident to perform independent searches at the college level. More over, most college students ignore the University online databases and instead mostly use commercial search engines for their school projects. Out of convenience and feelings that the library will not be any better than searching with from commercial search engines, some students avoid the library throughout their entire college career. Students need to be taught skills intrinsic to searching such as, Boolean operators, indexes, controlled vocabulary and keywords. Research shows that students who have quality learning experiences at the high school level are more likely to seek out the library in college. Students are living on a distorted plain of reality where their confidence in using technology is not completely validated. As a result, they are not seeking out assistance and help from information specialists, their teachers or their parents. When students move to college, many fail due to information overload mixed with being totally unprepared. “College-level assignments not only involve advanced searching skills, they also focus on the fancy thinking skills that challenge students to the thinking levels of evaluation and criticism,” states Carol Gordon in her paper, “A Room with a View: Looking at School Library Instruction from a Higher Education Perspective” (which is part of the One Step Beyond Compilation) “Higher education requires students do research, but some K-12 schools are still stuck in reporting mode,” Gordon concludes. There are so many different types of non-book material that are generally lost on people when they try to think about the term non-book and associate it with the word library. Maps, globes, postcards, pamphlets, toys, game sites, simulations websites, model kits, ebooks… and the list is still running. 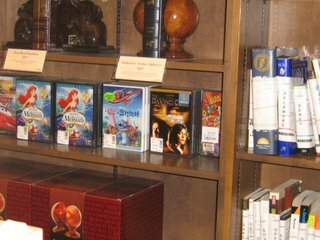 If not kept in libraries some could be housed in museums such as the Mark Twain collection at the Buffalo Central Branch, which is already set up like a museum. However the Grosvenor room just across the hall is used for more interactive researching and if not housed in the library- where would it live and who would be the gate keeper for all the information? Maps, genecology information, periodicals, oral history tapes, music- all valuable to information seekers and definitely important collections within the libraries. People are caught up in trying to cut corners and save money and lower taxes- but history and technical advances are priceless. They both need people trained and experts in accessing all parts of information retrieval. Of course the world would not implode or stop turning but many irreplaceable and invaluable assets would be lost. First things first- this Barnes & Noble is not a "super store" in that it is considerably smaller than most of its siblings. 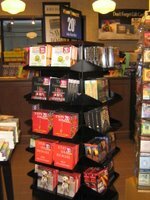 -The Shelf Markers (small black labels on the shelves) need to be bigger and easier to see and read. 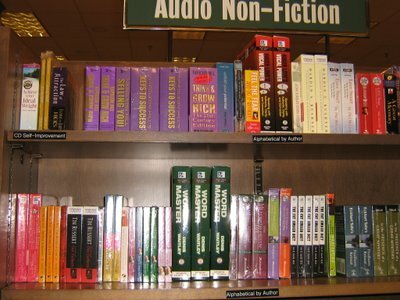 -Redefine the section, instead of "Audio Fiction" & "Audio Non-Fiction"
(Some kids might not understand the word "Audio." Run Ronnie Run tracks the bizarre exploits of Ronnie Dobbs (David Cross), a drunken mullet-haired redneck whose inane antics make him a regular on the reality TV show Fuzz. A failing infomercial producer (Bob Odenkirk) trying to save face in Hollywood, bails Dobbs out of jail and brilliantly casts Dobbs as the star of his own reality TV show. It's simplistic premise features Dobbs getting arrested in a different state every week. No surprise, the country falls in love with Ronnie, making him America's latest sweetheart. Everyone who's anyone wants to be apart of the new phenomena, with a star studded ensemble of cameo appearances including everyone from actor Jeff Goldblume to Anthrax's guitarist Scott Ian. Run Ronnie Run is Joe Dirt's alter-ego/dark brother- his doppelganger. Joe Dirt is a mainstream hit, while Run Ronnie Run remains under the radar with it's crude edginess. Ronnie Dobbs first appeared in a comedy sketch on The Mr. Show series created by David Cross and Bob Odenkirk which ran on HBO from 1995-1998. The two teamed together to write and star in Run Ronnie Run. Director Tony Miller with a few seasons of MTV 's Real World under his belt, was a perfect match for the film with it's sarcastic spin on the world of reality television. Once it was completed, it was held by New Line Cinema for 2 1/2 years. It was never released theatrically and was finally released on DVD 9/16/2003. It's been reported that both Cross or Odenkirk disowned the final cut of the film. Regardless of the creator's disgust with the final product, the film is well worth the rental price or would make an awesome addition to an obscure DVD collection. Yet another Sports Inspirational flick. The stories generally pit an underdog/s against the world. The sport involved is inconsequesial.